Next they are off to dullsville... dullcote that is. This past Friday, my wife was out with a friend for the evening to watch the new cinematic masterpiece The Fate of the Furious, and after putting the kids to bed and doing all the usual chores that seem to accumulate during the week, I had a few minutes to finish off the construction of this pair of Harlequin Skyweavers. I had previously partially built the bikes, and filled in the "mask" area of the bike with putty, and in this session I built the four riders. The bike portion of the kit is really quite excellent, with very little clean up, and a fit so tight you could nearly forgo glue. The riders are a bit harder to assemble though, not helped by the fact that each Harlequin is comprised of at least nine pieces... or the fact that I converted the female rider to have a totally different pose and weapon. 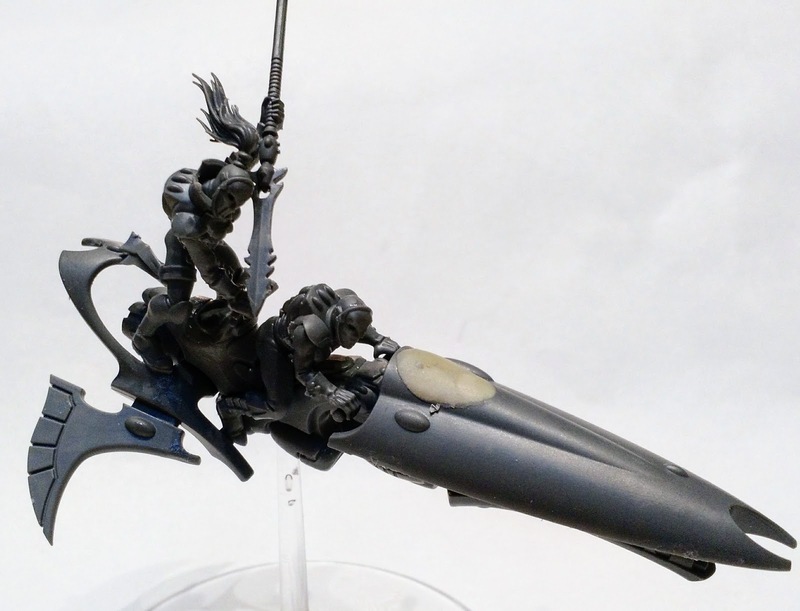 Anyway, the riders are currently just placed on the bikes, which will make them easier to paint... once I settle on a color scheme. 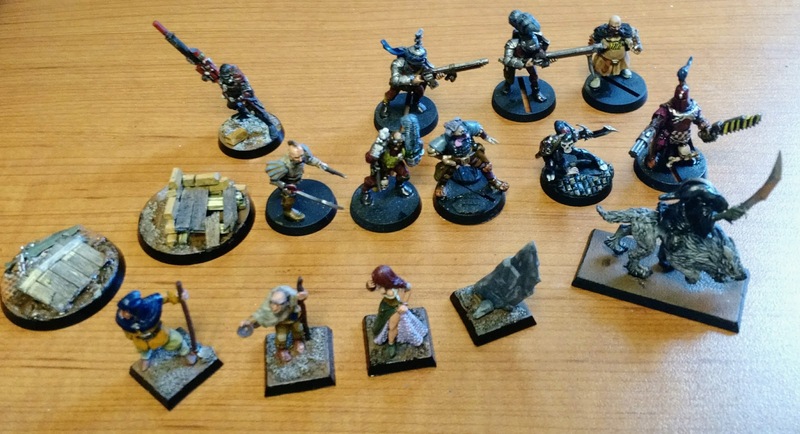 Still to come, the twelve troupers of the troupe and the Death Jester. I have been fairly busy lately with work, taxes, and selling some now unwanted figures on eBay. That last bit brought in a fair chunk of change (albeit less after fees), and with money comes the chance to buy some new items for future sale. Or in this case, new figures that actually get built up (eventually to be painted). 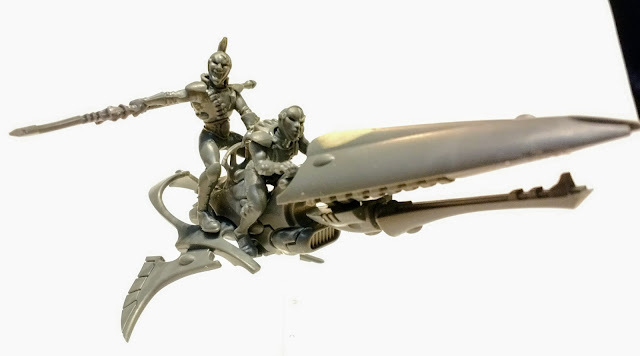 I got a great deal on some Eldar Harlequin figures a while back (thanks no doubt to their being included in the Death Masque boxed set), and had a couple of troupes and a Death Jester. Fortunately what I like to do most of all in the hobby is conversions, and also fortunately the Warhammer Quest; Silver Tower box came with some great character figures, which are easily available singly on eBay. First up is the psyker of the Harlequins, the Shadowseer. 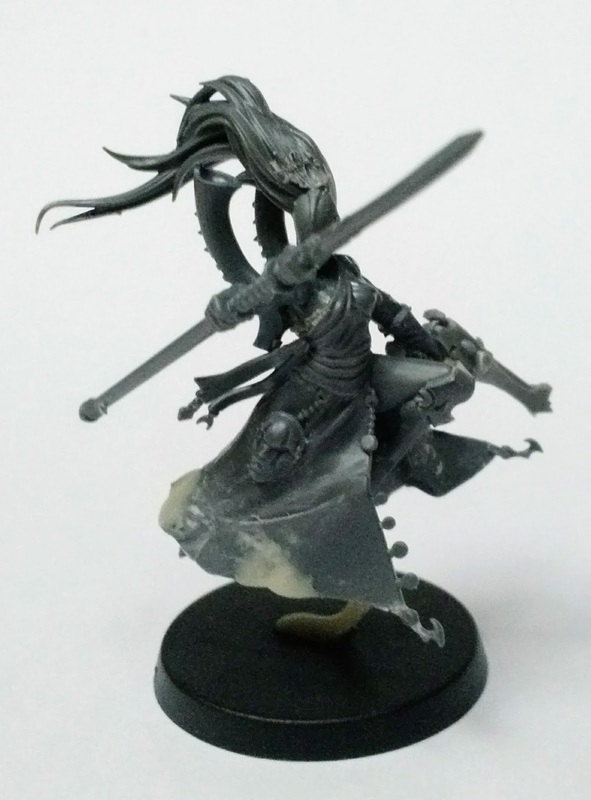 This figure was converted from the Mistweaver Saih character, some sort of new Elf (Aelf) magic user. Here is what it looks like originally. 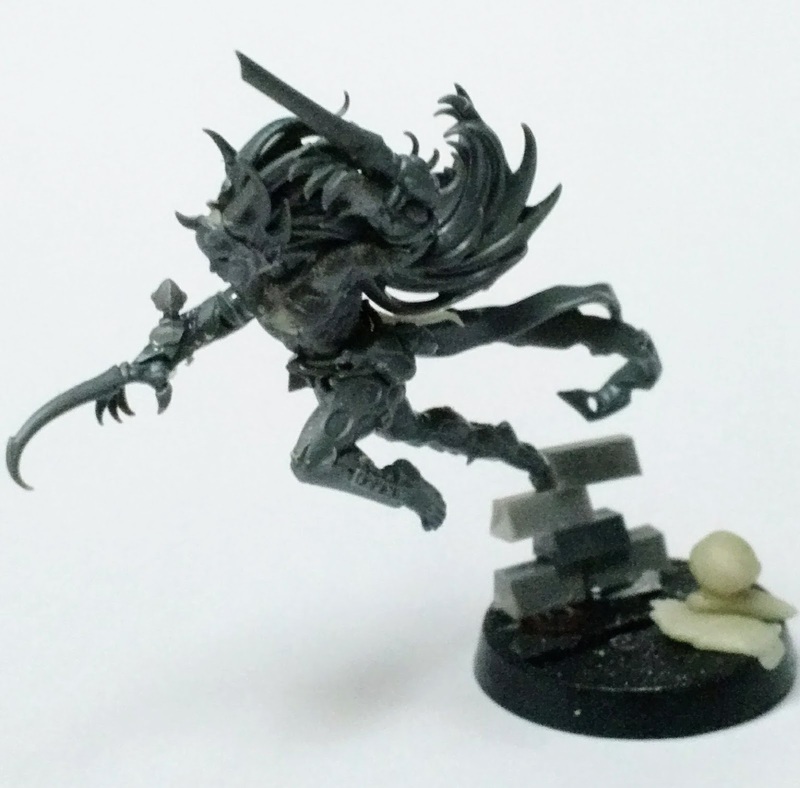 The second figure is the psycho of the Harlequins, a Solitaire. Converted from an other Elf character from the Silver Tower boxed set, this one called a "Tenebrael Shard", the original form of which you can see here. Again, I cut off most of the spikes and such, and added the correct weapons, in this case a Caress and Kiss. Not the sort you would like to get mind you, but the sort that turns you into a gibbed pile of goo. The pile of "bricks" seemed like a better thing for him to be leaping off of than a tentacle, and I will be using Imperial basing rather than ruined Eldar basing for the other Harlequins too. Still to come, jet bikes (two Starweavers), the Death Jester, and the actual Troupers.